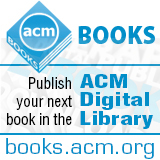 Welcome to the October 20, 2014 edition of ACM TechNews, providing timely information for IT professionals three times a week. Stop Worrying About Mastermind Hackers. Start Worrying About the IT Guy. Modern websites and social media platforms constantly are changing and updating their interfaces, making the experience of using them from one year to the next very different. The constant updating process presents a problem to those who want to preserve the experience of using a website or service at a given moment in time. Screenshots let users see what a website or service looked like, but they are not interactive. Rhizome, a New York-based nonprofit organization, is developing Colloq, a tool it hopes will change that. Colloq records all of the content users experience as they browse a given website and uses that content to create a simulation of the website that later can be explored at will. "As close as possible, you're going to get the experience of interacting with the actual site," says University of Maine professor Jon Ippolito, who advises Rhizome. The tool was developed with the help of Ilya Kreymer, who previously worked on the Internet Archive's Wayback Machine. Kreymer has made the underlying code freely available online so others can use and modify it. Colloq currently is undergoing testing and recently was used to record the Instagram portion of a social media performance by artist Amalia Ulman. Robotics researchers from numerous institutions are working to organize national workshops that will bring together roboticists and humanitarian workers to discuss how robots could be used to address the needs of workers fighting the Ebola outbreak in West Africa. Researchers envision robots that can be used to sterilize equipment and facilities, remotely monitor and provide human contact to those in quarantine, and assist in the dangerous and sensitive activity of burying the bodies of those killed by the disease. On Nov. 7, the White House Office of Science and Technology Policy, Texas A&M University, Worcester Polytechnic Institute, and the University of California Berkeley, among others, will host simulcast meetings that will include medical responders, academic researchers, and commercial robotics companies. "The workshop is for us to shut up and listen to them and take what we hear them say and use it," says organizer Robin Murphy of Texas A&M. Another organizer, Worcester Polytechnic's Taskin Padir, says the goal of the meetings is not to find ways to remove humans from the Ebola response effort--most of the robots will be remotely operated--but to find ways to use robotics technology to enable human responders to manage the disease without putting themselves directly in harm's way. Massachusetts Institute of Technology (MIT) researchers have developed a nanocryotron (nTron), a computing circuit based on the cryotron, which was developed by MIT professor Dudley Buck in the 1950s. The cryotron once was thought to be a possible basis for a new generation of computers, but it was replaced by the integrated circuit. The nTron consists of a single layer of niobium nitride deposited on an insulator in a pattern that resembles a capital "T." Electrons moving through the base of the T are crushed together, producing heat, which radiates out into the crossbar and destroys the niobium nitride's superconductivity. A current applied to the base of the T can turn off a current flowing through the crossbar, transforming the circuit into a switch. The researchers say the technology is a promising breakthrough that could be applied to making calculations performed by Josephson junctions, which traditionally have been relegated to a few custom-engineered signal detection applications, accessible to the outside world. The researchers demonstrated that currents even smaller than those found in Josephson junction devices were adequate to switch the nTron from a conductive to a nonconductive state. Mistakes in launching Oracle software have led to millions of Americans' data being leaked onto the Internet. Most of the organizations affected have been universities or government agencies, which hold a wide range of information on individuals and private companies. The security breaches can be attributed to system administrators that make routine errors, leaving the data unsecured, which highlights how even in an era of increasing national investment in cybersecurity, the weakest link often involves common human error. Experts also say the security problem shows that even highly skilled information technology administrators can struggle to keep large systems up to date with the latest software updates, security patches, and configurations. In addition, administrative credentials for the systems have been left exposed in many cases, giving hackers the chance to probe into compromised networks. "There's an old joke, that computers need a 'Do-What-I-Mean' function," says Columbia University professor Steven M. Bellovin. "Some systems are just impossible to configure correctly...the code is complex." Some experts say Oracle deserves some of the blame for issuing software that was complicated to use properly and had default settings that left security weak. "To think that a local government IT administrator in a small town is going to be able to adequately protect from all threats is woefully misguided," says Center for Democracy & Technology chief technologist Joseph Lorenzo Hall. The Symbiotic Human Robot Collaborative Assembly project, led by the KTH Royal Institute of Technology, aims to develop robots that can quickly adapt their work plans to changing production situations and respond to commands that human workers provide via touch, voice, or gesture. "The idea behind this project is to put people and robots together--it guarantees employment, improves efficiency, and makes the production system more robust and flexible," says KTH professor Lihui Wang. The researchers want humans and robots to be able to work alongside each other in a "fenceless environment" in which the machines can sense the presence of their human co-workers and avoid accidents. "We will combine the accuracy of robots with the flexibility of human beings, so they can work together more efficiently and productively," Wang says. He notes collaborative robots will assume the physical challenges of factory work, enabling people to take on other jobs. The project also aims to make the human-robotic system capable of providing instructions in given situations to human co-workers, Wang says. He notes the system could be designed to customize instructions for specific individuals. The project includes 15 partners in seven countries. The University of Delaware has received a $200,000 U.S. National Science Foundation grant to collaborate with the National Academy of Engineering on an international research ethics project. The grant aims to develop the international components of the enhanced Online Ethics Center for Engineering and Science, which will support the incorporation of international perspectives and resources for ethical reasoning and practice as well as social responsibility in science and engineering. The Delaware researchers will collect and review materials in research ethics, engineering, life and environmental sciences, computer science, and social science. "As we increasingly globalize research and work with scientists and students from other countries, we need to know how our international colleagues are being trained in the proper conduct of research so that we can continue to report reliable research results that are respected globally," says Delaware professor Bill Ullman. New developments in areas such as nanotechnology also could blur ethical lines that scientists need to be aware of. "I will be working with colleagues in this group to interact with scientists in developing nations to help all of us understand the consequences of the swiftness that is generally part and parcel of new technologies," says Delaware professor Ismat Shah. Researchers from Columbia University and the Georgia Institute of Technology say they have made the first experimental observation of piezoelectricity and the piezotronic effect in an atomically thin material. The team used the two-dimensional semiconducting material molybdenum disulfide for the breakthrough. Piezoelectricity is an effect in which stretching or compressing a material causes it to generate an electrical voltage, or the reverse. The researchers say the advance could lead to a unique generator and mechanosensation devices that are optically transparent, extremely light, and very bendable and stretchable. The research also should greatly expand the application of layered materials for human-machine interfacing, robotics, microelectromechanical systems, and active flexible electronics. "This material--just a single layer of atoms--could be made as a wearable device, perhaps integrated into clothing, to convert energy from your body movement to electricity and power wearable sensors or medical devices, or perhaps supply enough energy to charge your cell phone in your pocket," says Columbia professor James Hone. He says the development ultimately could result in complete atomic-thick nanosystems that are self-powered by harvesting mechanical energy from the environment. Big data training is a major challenge, according to a recently published study from the National Academies Press. The report says students must learn how to best use big data, and some of its main points include better educating students at universities, better understanding of what goes into analysis, and using alternative methods for training. People who work in data science need a broad set of skills, including knowledge of randomness and uncertainty, statistical methods, programming and technology, as well as practical experience, says University of California, Davis professor Duncan Temple Lane. He says students should learn how to plot general questions to a statistical framework and understand the scope of sampling and biases, exploratory data analysis, and diagnostics. Some institutions offer alternatives to degree programs, such as boot camps, certificate programs, and online courses. For example, the University of Washington's eScience Institute offers a nine-week massive open online course that concentrates on the background of data science, data manipulation at scale, analytics, virtualization, and graph and network analytics. Approximately 7,000 people have earned a certificate from it so far. The National Academies Press study estimates eight universities have unveiled big data training programs this year, and the total now stands at about 30. A new study of three tamper-resistant voting methods by Rice University researchers found various limitations allowed only 58 percent of ballots to be successfully cast using the systems. Tamper-resistant voting is an umbrella term for a variety of methods designed to ensure the integrity and transparency of the voting process. For their study, Rice researchers led by postdoctoral fellow Claudia Acemyan evaluated the performance of three systems: Web-based voting system Helios; Pret a Voter, a system that scans paper forms; and Scantegrity II, an optical-scanning system using paper bubble ballots. Acemyan says the study found the three systems to be "exceptionally difficult to use," leading to the meager 58-percent success rate for casting ballots. Challenges included confusing and novel voting procedures and equipment that voters were unfamiliar with and that took time to learn to operate properly. Acemyan says the challenges severely limit the utility of the three tamper-resistant voting systems and could lead to major challenges were voting precincts to adopt them. She says developers need to keep in mind the many different kinds of people that will be using their systems to vote. The European Commission-funded Flexible Interactive Reading Support Tool (FIRST) project has designed software that will make it easier for people with autism spectrum disorders to read and understand written documents. Experts from several European research institutions have used language technology and a simple interface to enrich a version of text in a way that does not require assistance. The software, known as Open Book, provides synonyms, images, metaphors, and definitions of complex verbs, additional information that will help users understand the main ideas of a document. The researchers say the software is personable and adapts to the abilities of each user, enabling them, for example, to just see definitions or images, interpretation of metaphors, or analyses of a feeling. Moreover, the software can be used for a broad range of documents from school textbooks, children's stories, and literature. "Open Book can also be helpful for people with low literacy or learning difficulties, as well as people who are learning a foreign language and the elderly who have problems grasping new words," notes University of Alicante programmer Paloma Moreda. The Linux Foundation has launched a project to help build an open platform for software that will enable nonmilitary unmanned aerial vehicles (UAVs). The Dronecode Project will be part of the Linux Foundation Collaboration Projects initiative, and will leverage those projects' best practices. ArduPilotMega (APM) UAV platform founder Chris Anderson and open source developer Andrew Tridgell approached the Linux Foundation about helping them advance the state of open source drone code. "The project has grown up pretty well, but it has now reached a size where it can benefit from having a neutral place where the project can be housed and people can invest with an equal say," says Linux Foundation executive director Jim Zemlin. He believes the Dronecode Project should lead to better code and more participation by developers and companies. Zemlin notes multiple vendors currently are employing the APM UAV code in commercial products, and when code improvements are now made as part of the Dronecode Project, those enhancements can be fed back to the project. "The companies that join Dronecode are all aligned in wanting to share the underlying infrastructure software that will enable their products, he says. University of Southern Queensland research fellow Nick Kelly writes that augmented reality (AR) technology likely to grow out of devices such as Google Glass will have the potential to not just augment but truly transform a person's reality. Kelly says it is likely the paradigm of the app will be extended into the AR world, with apps that fulfill various functions, such as enabling people to see a proposed house on its plot, travel virtually, and even enhance sexual experiences. However, he says like the app paradigm on smartphones, the price of many of these services is likely to be advertising and AR will be especially attractive to advertisers. Unlike other mediums, Kelly says advertising in AR will be uniquely insistent, able to completely intrude upon a user's field of vision. However, he notes AR also is likely to yield creative antidotes to an ad-soaked augmented world. One current example Kelly cites is the Artvertiser project, which overlays billboards in an AR user's visual field with images of art. Kelly reasons AR could go even further, enabling users to completely remake their experiences of the built environments they occupy, even the people they encounter there. He says these possibilities are at once revolutionary and potentially insidious and will have to be kept in mind as developers build the future of AR.